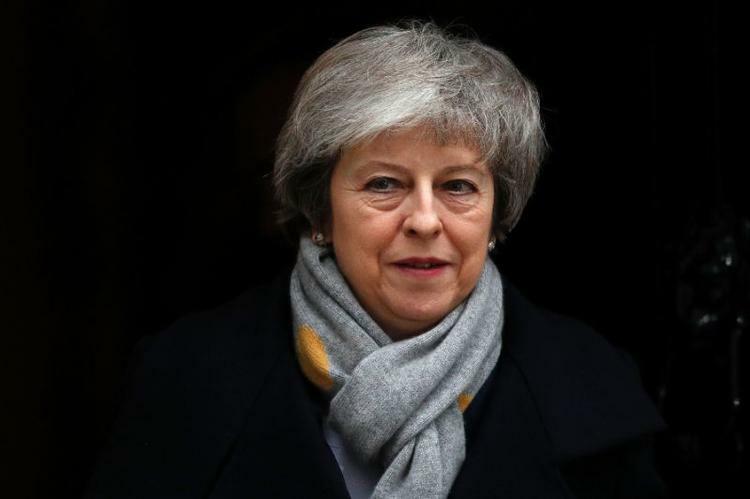 London (AFP) – Prime Minister Theresa May will on Wednesday face a confidence vote after MPs overwhelmingly rejected her deal to leave the European Union, leaving Britain with no plan as it hurtles towards Brexit on March 29. May suffered the largest government defeat in modern British history on Tuesday night when the House of Commons rejected by 432 votes to 202 the withdrawal agreement she struck with Brussels late last year. The EU immediately warned that the vote raises the risk of a hugely disruptive “no deal” Brexit where Britain could sever ties with its biggest trading partner overnight. Ireland, the only EU member state with a land border with Britain, said it would now intensify preparations for a “disorderly Brexit”. May struck a conciliatory tone after the vote, promising cross-party talks to try and salvage a workable Brexit deal before returning with a new plan next Monday. She expects to win the confidence vote scheduled for around 1900 GMT on Wednesday night. It was tabled by opposition Labour leader Jeremy Corbyn, who wants to force a general election. While her own Conservative MPs and her allies in Northern Ireland’s Democratic Unionist Party (DUP) have led the charge against her Brexit deal, they do not want a Labour government. However, Britain’s newspapers were withering at the scale of her defeat, a damning verdict on 18 months of negotiations with the EU. The top-selling Sun tabloid said May was “crushed”, while the Daily Mail said her power was left “hanging by a thread”, and one commentator in The Times described her as a “zombie prime minister”. Most lawmakers — including May — opposed Brexit ahead of the 2016 referendum, which has caused bitter divisions across the island nation. Nearly three years later, they still cannot decide what to do, with MPs criticising May’s deal both for keeping Britain too closely tied to the EU, and for not keeping it closer. Former foreign minister and leading Brexit supporter Boris Johnson said the vote gave May a “massive mandate” to renegotiate her deal with the EU. DUP leader Arlene Foster, whose small party props up May’s government in the Commons, also called for “fundamental change” to the Brexit deal. “We will give the government the space to set out a plan to secure a better deal,” she said. But, speaking ahead of Tuesday’s vote, German Foreign Minister Heiko Maas ruled out any substantial changes to the withdrawal agreement — a message reinforced by Juncker. “It is the only way to ensure an orderly withdrawal of the United Kingdom from the European Union,” Juncker said. After the defeat, French President Emmanuel Macron said “the pressure” was mainly on Britain to find a solution. Increasing numbers of pro-European MPs are calling for a second referendum as the way out of the deadlock, with an option to cancel Brexit altogether. Opposition Labour leader Jeremy Corbyn who wants to force a general election has triggered a confidence vote in Theresa May. Speculation is also growing on both sides of the Channel that May could ask to delay Brexit, although she denies this. On Wednesday morning the pound edged down, but mostly held its ground as investors considered the next likely developments in the long-running saga. Sterling had tanked to a near two-year low soon after the expected defeat but it rebounded back against both the dollar and euro on hopes that a no-deal Brexit could be avoided. While it was slightly lower in Asia, the pound managed to avoid the sort of pummelling many had predicted and analysts say the positive news is that the options for the future are narrowing. British businesses urged politicians to unite. “Financial stability must not be jeopardised in a game of high-stakes political poker,” warned Catherine McGuinness, policy chair at the City of London Corporation, the body governing the British capital’s massive financial district.